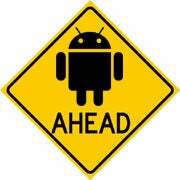 Android 3.0: Coming In March? Here in the Android-watching world, the air has smelled of uncertainty for quite some time. Ever since Google announced Android Honeycomb, the tablet-optimized edition of its mobile OS, there's been no shortage of questions about the platform's future and the direction in which it's headed. The big unknown, of course, has been what's next: Will Honeycomb make its way to smartphones? Or will Android devices be assigned to one of two separate paths: the Froyo- and Gingerbread-filled phone fork and the tablets-only Honeycomb detour? Thanks to some revelations made at this week's Mobile World Congress, we're finally getting some firm answers. Then there's Honeycomb, or Android 3.0 -- the new version made especially for tablets. This sweet software entered our lives last month when Google gave us a sneak peek at the platform. About two weeks ago, Google held a media event in Mountain View at which it spilled more Honeycomb details and provided the first hands-on demos of the Motorola Xoom, the soon-to-be-released inaugural Honeycomb tablet. Honeycomb brings about major changes to the Android platform, including a new graphical look, a revamped multitasking interface, and improved system notifications. It also introduces the ability for apps to split into multiple panes that function side-by-side on your screen. Despite its tablet-centric design, Google has dropped several hints that Honeycomb could eventually reach smartphones. At this month's Android media event, Google reps told me the specifics were still up in the air but that Honeycomb's visual elements would almost definitely land on every Android device -- tablet or smartphone -- at some point in the foreseeable future. The real wild card, I suspected, was likely the aforementioned app panels; those are made to take advantage of tablets' expanded screen space and would be tough to duplicate on a smartphone-sized display. Fast-forward now to today. During a keynote address at the Mobile World Congress, Google CEO Eric Schmidt was asked about Android's various versions and where things were headed. His response was very telling. 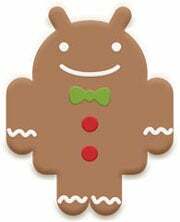 "We have an OS called Gingerbread for phones. We have an OS being previewed now for tablets called Honeycomb," Schmidt said. "You can imagine the follow-up will start with an 'I,' be named after a dessert, and will combine these two." So there you have it: Android's smartphone and tablet paths, in one form or another, will soon converge. Hang on, though -- there's more. Also at MWC today, HTC announced a slew of new Android devices, including a 7-inch tablet that'll run a version of Gingerbread known as Android 2.4. That presumably means we'll see at least one more significant phone-focused Gingerbread release before the unifying "I" edition of Android arrives. For anyone who keeps up with rumors, this is no huge surprise; we've been hearing about the possibility of a 2.4 release for some time now. Earlier this month, Android blog Phandroid published a rumor that Google was working on a 2.4 release that'd bring some of Honeycomb's features into Gingerbread-level devices. A website called Pocket-link followed up that report with hearsay suggesting the 2.4 software would be able to run apps designed specifically for Honeycomb. The site also predicted the release would arrive in April. Those specifics, of course, are still unconfirmed, but they certainly are starting to gel with everything else we're hearing. And in case you're wondering, by the way, that upcoming Android "I" release is believed to be called Ice Cream Sandwich. There's one more factor in Google's operating system puzzle: Chrome OS. During his MWC speech this week, Schmidt reinforced what Google has said about Chrome OS all along: That software is being targeted to notebook-style devices with keyboards. Android is made with phones and tablets in mind. The two are separate entities with separate purposes. Schmidt said the first commercial Chrome OS devices should hit the market sometime this spring. The Xoom, meanwhile, is expected to launch within the next couple of weeks. Numerous other Honeycomb tablets are slated to follow. And that, my friends, is the current state of the Google Android road map. We'll undoubtedly be hearing more details about each twist and turn as time moves on, so stay tuned; in the world of Android, things never stay quiet for long.